On Tuesday, it was announced that Baltimore Ravens defensive tackle, Brandon Williams, was added to the 2019 Pro Bowl roster. This late addition to the NFL’s All-Star game gives Williams his first trip to the Pro Bowl of his young, six-year, NFL career. Williams was added to the Pro Bowl roster late in the process to fill in for Bengals defensive tackle Geno Atkins. Atkins, a seven-time Pro Bowler, was forced to sit out the 2019 Pro Bowl because of an injury. Williams is included in a list of other notable players taking over other Pro Bowl roster spots. Cowboys rookie linebacker Leighton Vander Esch was subbed in for Panthers linebacker Luke Keuchly. Colts quarterback and favorite to win the Comeback Player of the Year award, Andrew Luck replaced Chargers quarterback Phillip Rivers. Browns offensive guard Joel Bitonio is in for Steelers offensive guard David DeCastro. Finally, Seahawks quarterback Russell Wilson replaces Packers quarterback Aaron Rodgers. Brandon Williams’ first Pro Bowl visit comes at a time when many question his future in Baltimore. The contract he signed just two years ago is already becoming a strain on the Ravens financial situation. 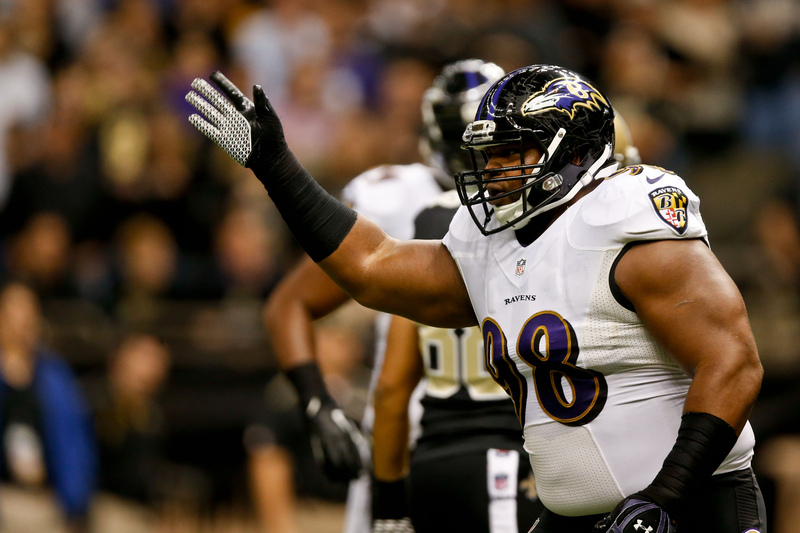 Despite the contract, the Ravens defense has played very well with Williams as the starting defensive tackle. Baltimore felt comfortable enough with Williams at defensive tackle to trade longtime run stuffer Haloti Ngata after the 2014 season. The move was bold, but it looks to have paid off for Baltimore in the long run. Not only were the Ravens able to get out of a bad contract situation with Ngata, but Baltimore has ranked 1st in rushing yards allowed per game since Williams took over as a starter in 2014. The investment, however, does worry many fans. The financial future of the franchise could weigh on Brandon Williams’ shoulders, and even though he made the Pro Bowl, one can argue that former undrafted free agent Michael Pierce has been more cost effective and efficient than Brandon Williams.